If you were on the Gold Coast in the 80s, chances are you experienced the opulence pre-Versace, namely the Sheraton Mirage Resort. Fast forward 3 decades and the resort has not only added Grand to its name, but Grand to its décor, food and facilities. We were lucky enough to get a 21st century look into this venue and below is our venue review. This past weekend, we got the chance to experience this Gold Coast icon and it does not disappoint. A wide variety of beautiful accommodation options and it starts at the “lead in” room. We had what’s considered a “partial ocean view” but considering the resort is the only one on the Gold Coast that is right on the sand, this just means there’s some palm trees interrupting your view. This venue not only accommodates the who’s who of the entertainment world when they come to Queensland, but also boasts a Royal Suite and Presidential Suite, most recently used for the Gold Coast 2018 Commonwealth Games. The venue was host to the Games Family, which incorporates Commonwealth Games Federation members. I’m a fan of the photographic artist Slim Aarons and his work adorns the walls throughout the foyer hallways of the hotel. The images in these photos capture the essence of this venue perfectly, as does the photo I took from the restaurant for breakfast. 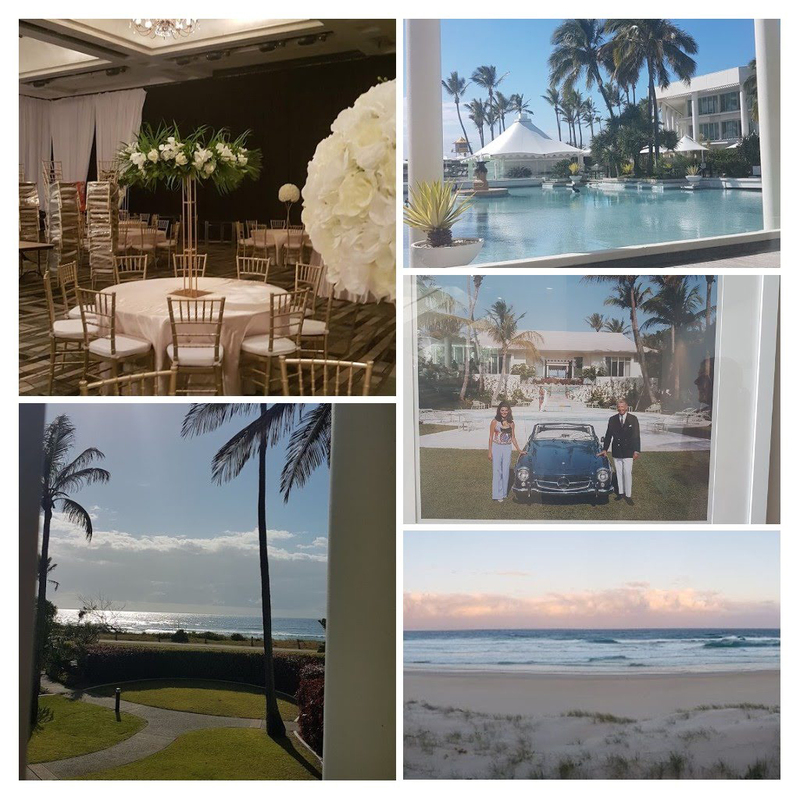 If you’re looking for a conference or gala venue that will satisfy all guest types, you must explore the Sheraton Grand Mirage Resort on the Gold Coast.